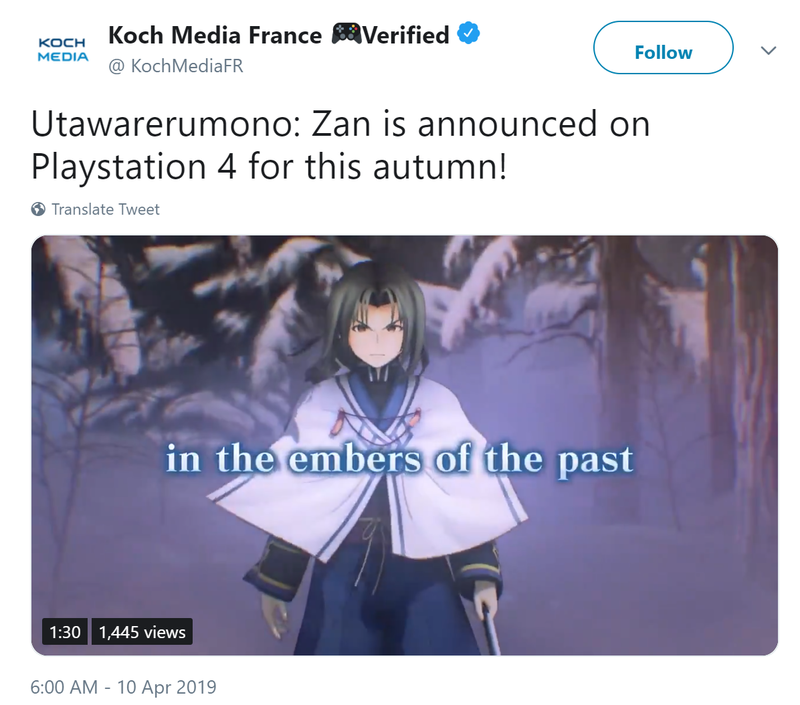 Koch Media France has revealed [Update: Tweet now removed] that NIS America will be bringing Utawarerumono Zan westward this Fall for PlayStation 4. Zan is an action game spinoff of the Utawarerumono series in the style of a musou game (like Dynasty Warriors or Fate Extella), and works as a retelling of Utawarerumono: Mask of Deception. For those curious, you can check out the original Japanese announcement here, and find more details here. Interestingly, NIS America has not yet formally announced Utawarerumono Zan, so there is not much information about the release yet other than the announcement trailer, which is posted below. We've reached out to NIS America for comment or more details. Update: Koch Media has since deleted the tweet regarding the announcement, indicating it was likely posted prematurely, although we do have a (machine translated) screencap. We do not have any news regarding this title. 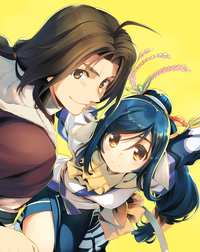 NIS America is also bringing over the VN/SRPG remake of the original Utawarerumono in early 2020.